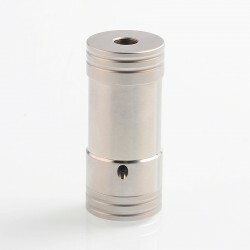 The Corinne Style Mechanical Mod is a mini size 18350 mech mod with a diameter of 22mm. This mod is made from 316 stainless steel. It is very easy to carry and suits your palms perfectly. The mod is powered by single 18350 / 18650 battery (NOT INCLUDED). 18650 extension tube is included. Image will be updated soon. Hi, i want ask about vapeasy corinne style hybrid mech mod giveaway, do i need to do all 13 ways to win? No, they are ways you can join in, but you take more, your entries will be added and you will have more possibility to win.